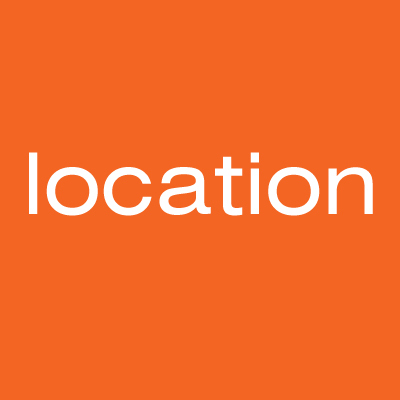 Thermal baths have been used in Europe for centuries for the treatment of a wide variety of illnesses. Spas became fashionable during the 18th and early 19th centuries as relaxing meeting places for royalty and leading society figures, as well as places to ‘take the cure’. The rich, ill and famous consulted balneologists who treated diseases with thermal baths and water cures. The Bath House has direct links with this tradition. By the end of the 19th century, spa therapy had evolved into a treatment regime, combining physical and psychological factors, which aimed to provide an holistic approach rather than simply treating the disorder. 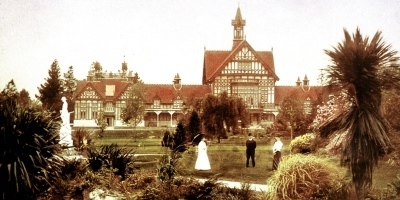 “People came to Rotorua for two or three weeks once or twice a year and stayed at Brents, Grande Vue, Park Vue or Prince’s Gate. The relaxing regime included a swim at the Ward Baths before breakfast, followed by a visit to the Bath House for prescribed treatment. The Aix douche took half an hour, followed by half an hour in hot towels, and perhaps an hour in the Cooling Room, a totally relaxing process. 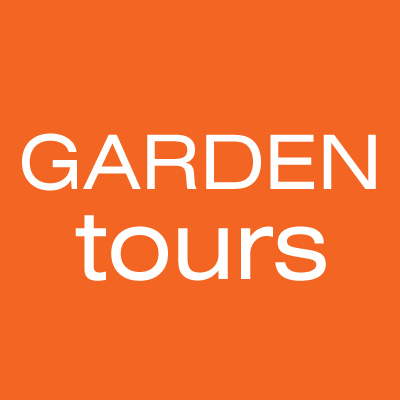 An afternoon stroll through the gardens, perhaps a Rachel bath and an evening bath at the Ward Baths concluded the daily routine whilst ‘taking the cure’.” Dr Keith Ridings, 1995. 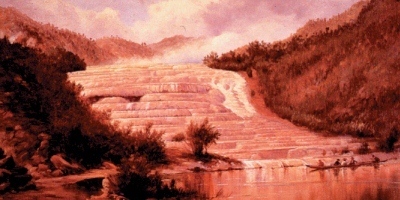 The potential value of Rotorua’s thermal springs as a source of revenue had been noted as early as 1874. 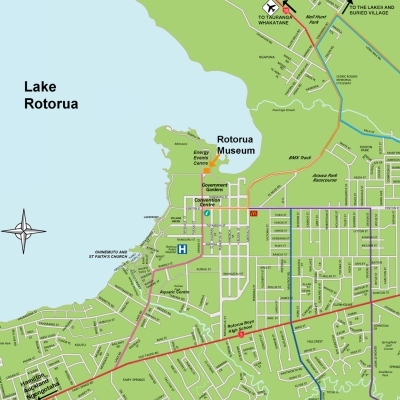 A variety of thermal pools were concentrated in an area known as Te Kauanga, not far from Lake Rotorua’s edge. When tourists in the 1870s and 1880s arrived to see the Pink and White Terraces of Rotomahana they also wanted to bathe in this wild thermal area nestled amongst pumice, sulphur and mānuka. 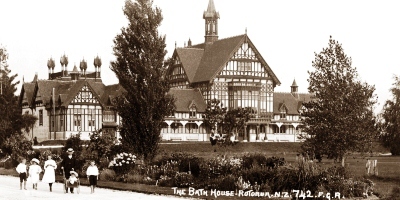 In 1882 the Pavilion Bath, the first building of the new Government township of Rotorua, was built on the site of the Priest’s Bath. It fell down two years later, a sign of maintenance problems in store for other bathhouses in the area. 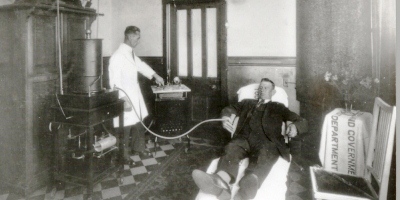 The first Sanatorium hospital was opened in December 1885, with room for twelve patients. The Pavilion Baths were rebuilt in 1887 by Camille Malfroy, and in 1896 he added a women’s swimming bath to the facility. A second and larger Sanatorium was built in 1891 after the first burned down in November 1888. Bath structures gradually became more imposing. 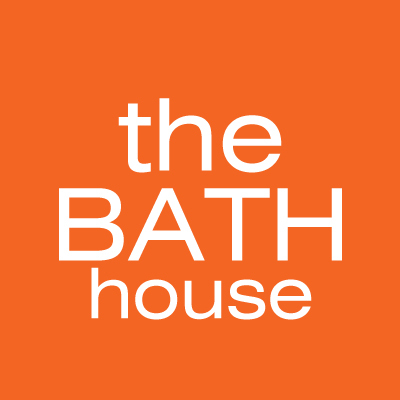 The Duchess Bath, built to celebrate the visit of the Duchess of York, opened on the site of the present Polynesian Spa in 1901. 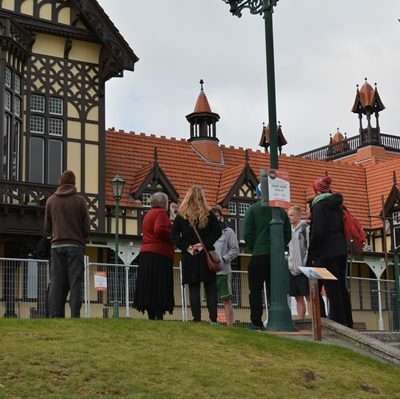 The Bath House, which opened in 1908, is the only surviving building from the first 45 years of the Rotorua spa. Elements of the Ward Baths, constructed on the site of the Duchess Bath in 1930, remain integrated into the present Polynesian Spa. 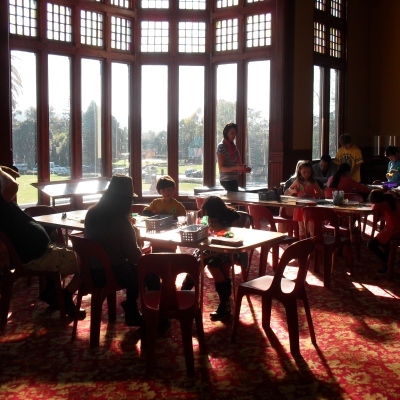 There are two types of mineral waters used for health purposes in Rotorua. ‘Rachel’ which is an alkaline, sulphuretted water, and ‘Priest’ which is free-acid water. 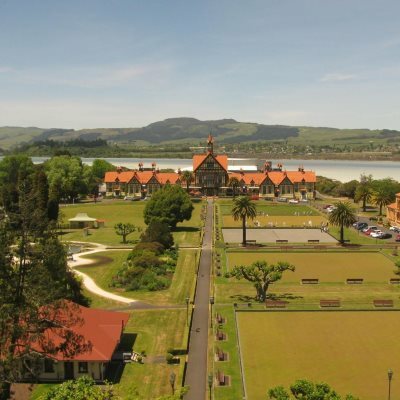 In 1878 Father Mahoney, a Catholic Priest from Tauranga disabled with arthritis, was carried to Rotorua to bathe in the small waiariki (spring) known by the Arawa people as Te Pupūnitanga. After soaking in its acidic waters he was able to walk back to Tauranga, and the pool became known as the ‘Priest’s Bath’. The Priest waters were recommended as most valuable in the treatment of arthritis, rheumatism and nervous disorders. The Rachel waters and mud baths were used to manage rheumatic diseases – the waters were regarded as soothing and sedative, relieving pain and reducing swelling in joints and tissues. Visit Taking the Cure exhibition for more information about the bath house building and its days as a spa.